At this time of year, we’re asked to remember. Those who served Canada during war, conflict and peace. To provide context, I look at old photos and films. It helps remind me of their reality. Who they were, where they were, where they came from. This year, I searched images of Burlington. The above Ward 4 photo from 1960 struck me. – No highrises in the background hovering over Roseland Plaza. – It’s true, we really did have big snowfalls (prior to global warming)! 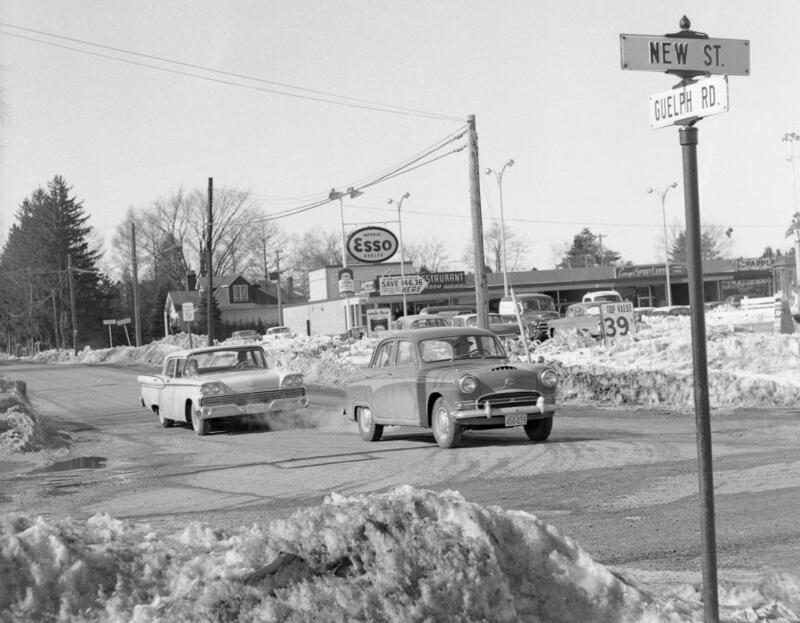 – I recall those old steet signs – and one says “Guelph Road“, not “Guelph Line”. – Not much has changed with the way Roseland Plaza looks. 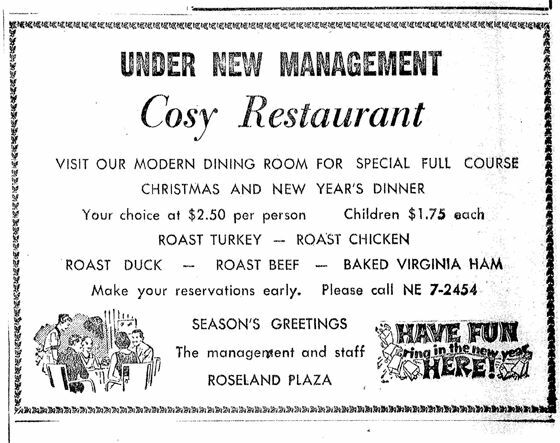 – I miss the Cosy Restaurant (where Tim Hortons is located now). What do you notice, and remember? 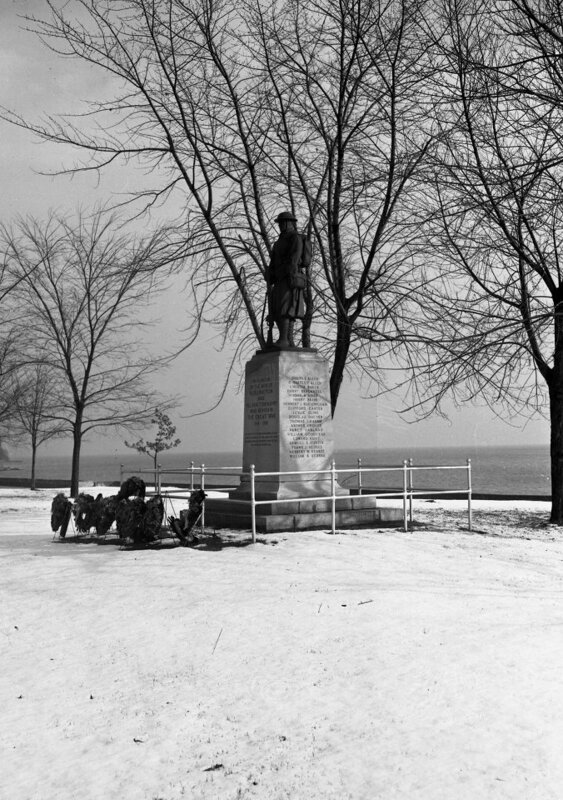 Here’s the Cenotaph in what is now Spencer Smith Park, before moving next to City Hall. Lest we forget.